Some posts take quite a long time to produce, but this one was an extreme case. Four people participated on it and I think we have produced a great material to teach vocabulary connected with sports. In my opinion there is everything. There is a video to help students with the pronunciation of the words. 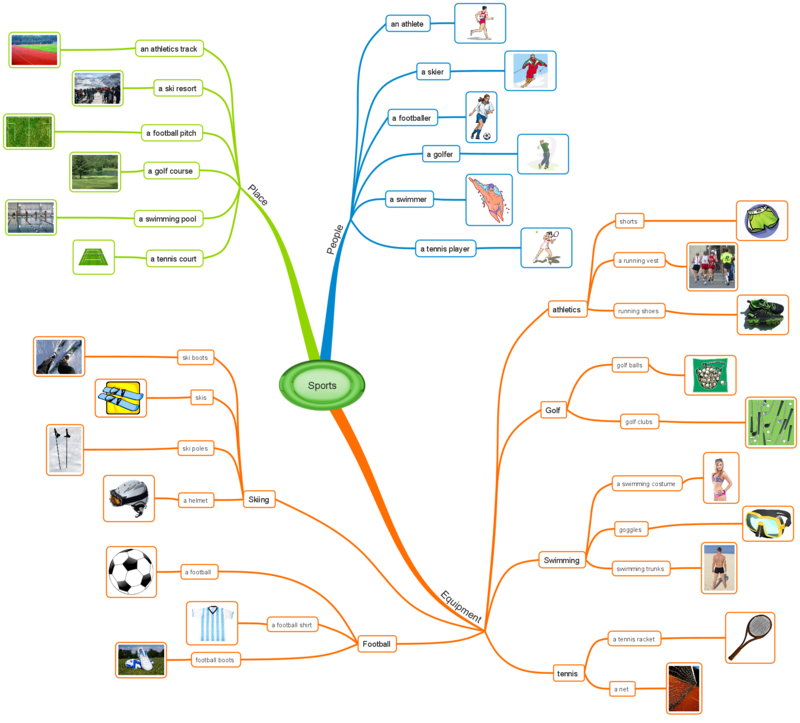 There are two mind maps to help you organise the new vocabulary in a way that will be easy to remember. And at the end of the post there are several activities to help the students learn all the words. Watch the video. Listen to the American pronunciation of the words and repeat. 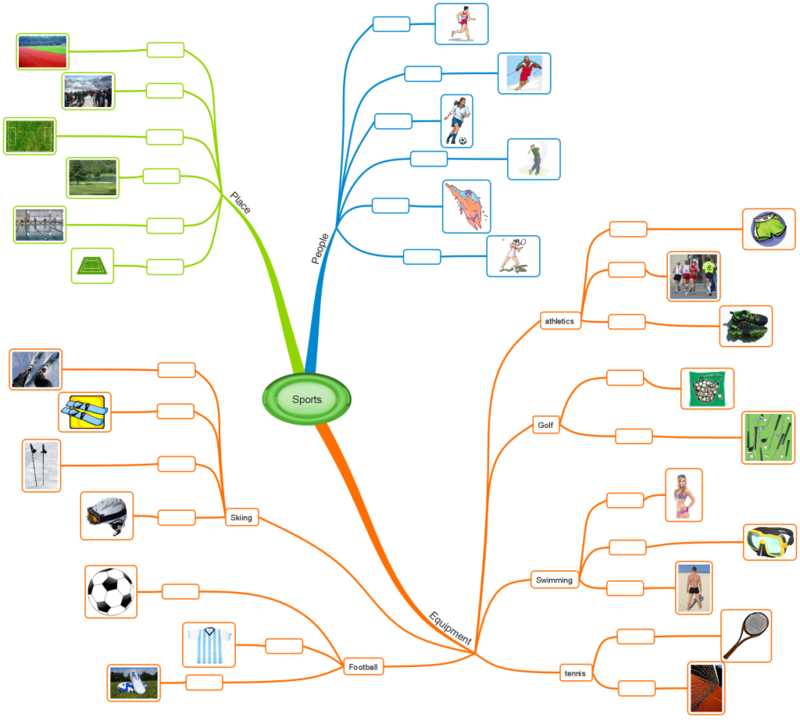 In the following mind map you can see all the words and phrases clearly organised. The second mind map can serve as a worksheet. Your task is to complete it with the right words. This time all the quizzes are in HTML5 so they will play on your mobile devices. The first quiz is a way to learn the words. Listen and repeat the words. Then complete the quiz and go on. There will appear another set of words and a quiz. And so on. The second game is called Kim’s game. You will see a set of pictures and then three of them will vanish. Your task is to write the words for the given missing words. However, you have just one minute to remember. And then three more pictures will vanish. Are you able to recall all the words? The third quiz is a dictation. In the first phase you will listen to several sentences and you have to click on the words you hear in the sentences. In the second phase you have to listen to the sentences and write them. Good luck.